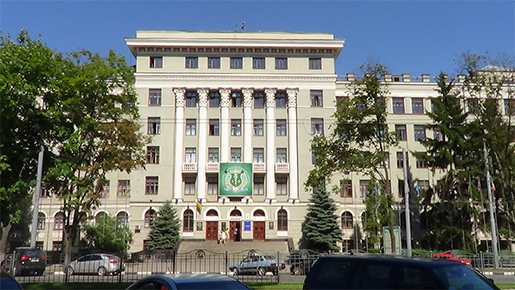 The International students department of Kharkiv National Medical University (KNMU) provides course advice for potential students, assists with the admission and enrolment of international students and provides ongoing academic, cultural, social and personal support for international students. The International students department can advise on all matters relating to application, accommodation (each and every international student is guaranteed with a seat in University hostel), admission, fees, immigration, arrival services, orientation and advice on visa requirements, medical insurance and general concerns. Whether enquiries are of an educational, personal, legal, social, cultural or financial nature, somebody will be able to assist. This means providing course information, processing your admission application as efficiently as possible and giving advice on living and studying in Kharkiv. The International Marketing department is responsible for coordinating the promotion of the University and its courses overseas. It is of vital importance for the University to actively cooperate with many foreign and international research and educational establishments and organizations such as Bath Spa University (Great Britain), the University of Medical Sciences (Poland), the European Federation of Physiological Societies (France), the International Organization of Brain Studies, the Regional European Bureau of WHO (Switzerland), the American Medical Research Foundation, Albert 5:hweitzer Institute for Human Studies, the Open Public Institute (USA), the University of Cincinnati (USA), the Ukrainian-American Centre for Reproduction and Genetics, Bar Klun Medical University (Israel), Weifang Medical University (China) and others. All international students enjoy full and deep studying Medicine with English speaking high-qualified lectures, medical laboratories at the University campus and practical training in municipal hospitals. The best clinics of Kharkiv with modern medical diagnostic and therapeutically equipment, computer software of the academic process are available for international students. KNMU is also has very good option for students who want to learn local language or who is late with enrollment for the main studies. Such students can join premedical course with very good language base and teachers. They have very good opportunity to feel free in the Ukrainian environment with knowledge of local language in Ukraine. Kharkiv is also a cultural and international city. Here you may enjoy with plenty of city parks, museums, theatres, international football matches, café, restaurants, cinema and shopping malls. Annually a lot of traditional concerts and ceremonies are hold with international students’ membership, so you will never feel yourself alone far home. KNMU is doing everything possible to improve quality of life for international students through all of these possibilities. There are Ambassadors’ official visits to the University, Medical International Conferences, International beauty competitions, Independence Day, sport tournaments (cricket, badminton, tennis etc. ), Fresher’s Party, Diwali, Holi and others. There are many national communities being organized at the University by different nationalities. The best international students who has good results in their studying can pick up a scholarship award. We warmly welcome international students to apply and study medicine at Kharkiv National Medical University!